I have always marvelled at the ancient concept of observing and learning from the Primordial Mother through observation of natural phenomena. • The ancient sages watched astronomical phenomena in the sky and topographical features on the earth, and studied the relationships among all beings. • They believed that All things return to the Earth and are stored within. • They followed the natural order and cultivated a harmonious relationship with Mother Nature. • They concluded that in Heaven and Earth there exist a UNIVERSAL PRINCIPLE THAT EVERYTHING IS IN CONTINUES PROCESS OF CHANGE. Through their experiences, the ancient sages sensed that it was crucial for one to understand the Laws of Change. An anthology is contained in the I CHING, an ancient sacred book that was known to the Zhou Dynasty during 1122-221 B.C. 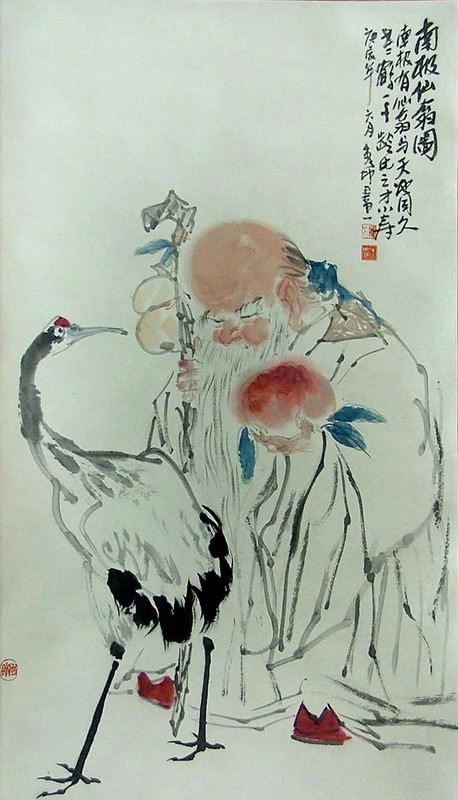 The Sage gazes up and contemplates the phenomena of the Heavens (Tao of Heaven). Then he looks down and examines the patterns of the Earth (Tao of Earth). Thereby he learns the causes of darkness (Yin) and light (Yang). He traces things to their beginnings and follows them to their end. Therefore he knows the significance of life and death. He observes how the union of essence and breath forms things and how the disappearance of spirit produces their dissolution. Therefore he knows the constitution of the Lower Soul (‘Hun’ or Corporeal soul) and of the Higher Soul, (‘Po’ or Ethereal soul). To engage in a harmonious journey, it is imperative to follow the way of Nature. All our actions should aim at maintaining the state of equilibrium, adopting the central path with no excesses and insufficiency. We should always bear in my mind that things that go beyond their extremes always alternate to their opposites in order to strike a balance. This emphasis on the nature of duality or opposites must not be mistaken for a situation of conflict everything implies its opposites and, indeed is only meaningful because the opposite is there. So death and life, light and darkness, good and evil, ebb and flow, male and female co-exist as parts of one and the same. The concept of yin and yang (Traditional Chinese:陰陽; Simplified Chinese:阴阳 ; pinyin: yīnyáng) originates in ancient Chinese philosophy and metaphysics, which describes two primal opposing but complementary forces found in all things in the universe. Yin, the darker element, is passive, dark, feminine, downward-seeking, and corresponds to the night. On the other hand, the yang is the brighter element, the active, light, masculine, upward-seeking and corresponds to the day. Everything has its opposite although this is never absolute, only comparative. No one thing is completely yin or completely yang. Each contains the seed of its opposite. For example, cold can turn into hot. Similarly as the saying goes, “Everything that Rises must Fall” in order to strike a state of equilibrium. Yin and Yang are interdependent. One cannot exist without the other. For example, the day cannot exist without night. Any yin or yang aspect can be further subdivided into yin and yang. For example, the temperature can be seen as either hot or cold. However, hot can be further divided into warm or burning; cold into cool or icy. Yin and Yang consume and support each other. Yin and yang are usually held in balance as one increases, the other decreases. However, imbalances can occur. There are four possible imbalances: Excess yin, excess yang, yin deficiency, yang deficiency. Yin and Yang can transform into one another. At a particular stage, yin can transform into yang and vice versa. For example, night changes into day; warmth cools; life changes to death. The dots in each serve as a reminder that there are always traces of one in the other. For example, there is always light within the dark (e.g., the stars at night), these qualities are never completely one or the other. Therefore, nothing in the universe is completely yin or completely yang – everything is a mixture of the two. Three produced the thousands beings. By blending their energies they achieve harmony. Therefore existence and nonexistence produce each other. Difficulty and ease complement each other. Long and short contrast with each other. High and low rely on each other. Sound and voice harmonize with each other. The Tao fulfils its purpose quietly and makes no claim. When success is achieved, withdrawing. Yet it does not contend. Nothing under Heaven is as soft and yielding as water. Nothing is better than water. Lao Tzu speaks of the ineffable Tao, or the “Way”, which is described as the indivisible and indescribable, the unifying principle of the universe from which all flows. It is without time, form or substance. Tao perceived as the Mother of the Universe. The infinite eternally present, the primal spirit that brought everything into being. The Valley spirit that never dies. The Source as the Female is represented by light and dark sides of the archetypal feminine in psychology and mythology. The Divine Mother or Goddess, she is soft enough to offer life and tough enough to drown it away. As we partake in this journey of thousand miles, we need to observe and understand the ways of Nature, the Mother of the Universe. We need to harness our powers of intuition and build up personal power and to use that power to lead a life with Love and not Force. Force begets force and resistance, while Love softens even a hardened heart! Force not only does it destroys its captives but it devours its master. I am reminded of the words of Martin Luther King, Jr. A peacemaker in the midst of the struggle for liberation and equality. The more one acts in harmony with the universe (the Mother of the ten thousand things), the more one will achieve, with less effort. We are encouraged to be as gentle as water and refrain from contention. The world moves in accord with a divine pattern. It is seen in the rhythmic movements of Nature. For one to be happy one needs to adjust oneself to the way the world moves. One does not change one’s life one accepts it. In so doing one seeks Wisdom, Goodness, and Contentment. That Wisdom is Trust; Goodness is Acceptance and Contentment is Simplicity. To flow with the universe means being natural or spontaneous. Natural means that one is relaxed within and able to accept what life offers. It is in letting go, and surrendering to the ineffable Tao, or the “Way”, which is described as the indivisible and indescribable, the unifying principle of the universe from which all flows. In this journey of thousand miles, we should pattern our ways after Mother Nature, the ‘Valley Spirit that never dies’ and be guided by her Love above All. Martin Luther King Jr. Where do We from Here: Chaos or Community?. (p67). 1967.